Oval point socket set screws are headless screws with a hexagonal drive on one end and an oval shaped point on the other end. Oval point socket set screws are often used in applications where frequent adjustments are needed and minimal deforming of the part is required. 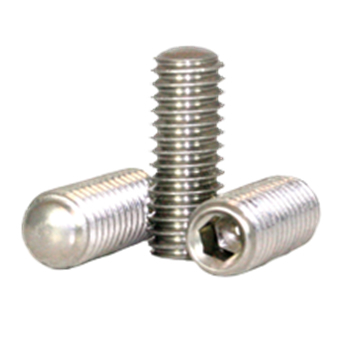 RC Fasteners & Components is your wholesale source for oval point socket set screws in alloy black ox and 18-8 stainless with and without a nylon patch locking element.